Arson is one of the leading causes of fires and deaths due to fire in the United States. According to a National Fire Protection Association report from 2010, intentional fires cost $1.2 billion in direct property damage. At the same time, the legal climate for investigating and prosecuting cases of arson has become much more demanding and complex. For these reasons, GPSTC developed its Arson Investigation Certification program in 1995 as an effort to prevent fraud and protect life and property. 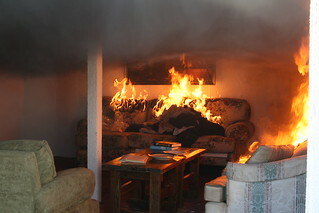 The program, which is unlike any other Arson Investigation program in the country, effectively trains law enforcement and fire service personnel in all areas of arson investigation including: behavior of fire, motivation of the fire setter, photography and documenting the scene, evidence collection, point of origin, and interview and investigative techniques.